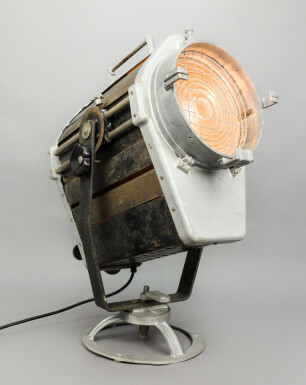 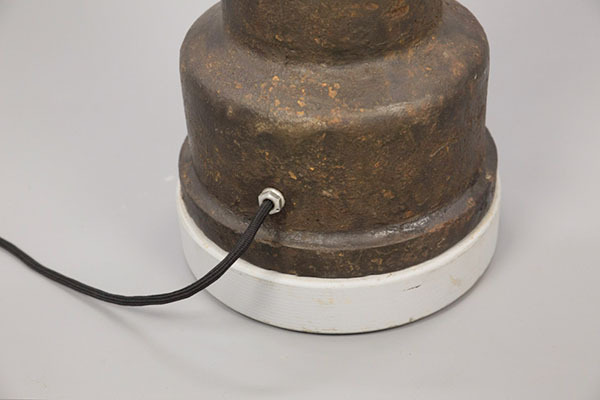 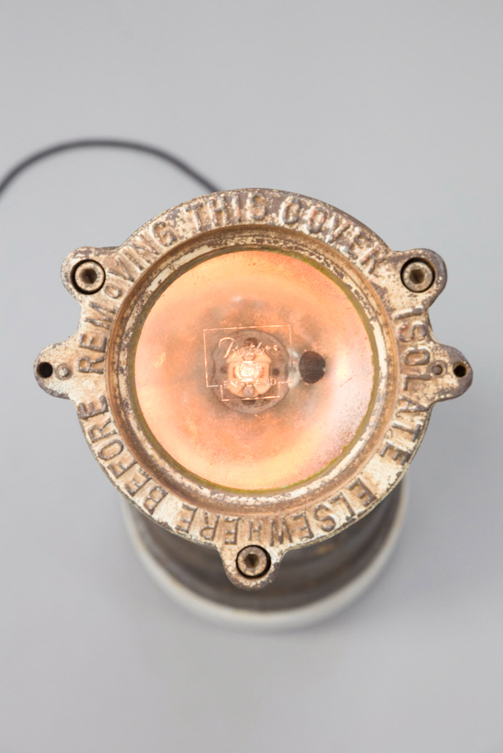 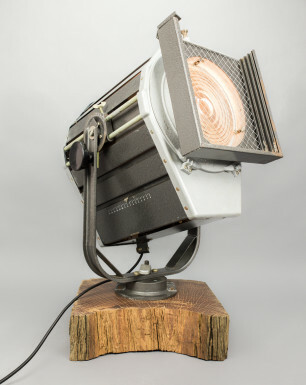 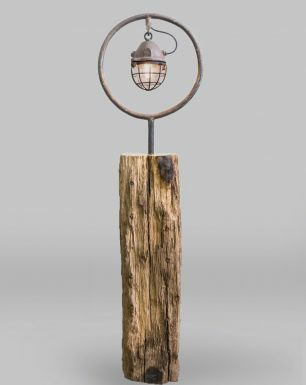 This unique floor lamp has been created from an old floodlight, and a heavy cast-iron stand. 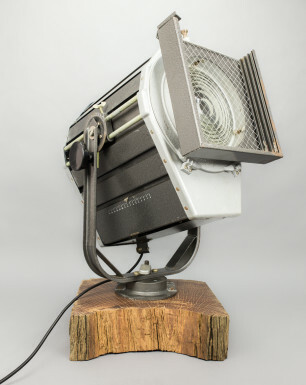 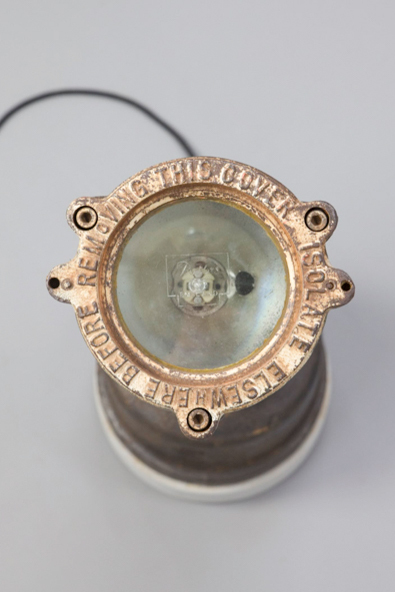 The toppart comes from an old boat in England and used to be a floodlight. 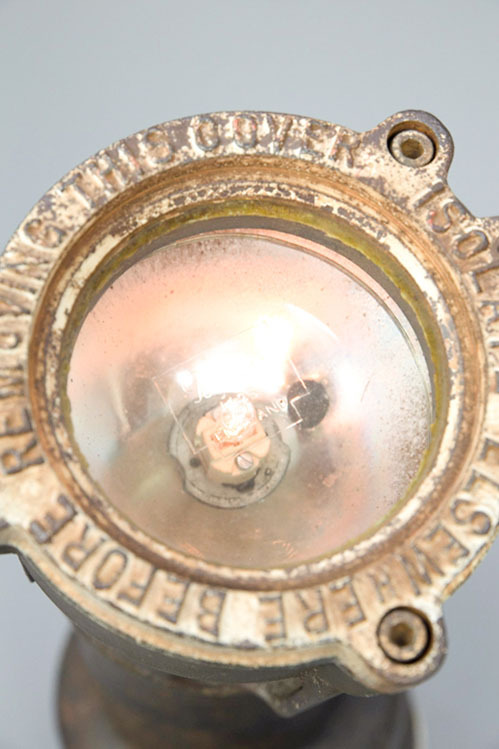 It has very thick glass and a mirrored reflection, creating a beautiful warm glow. 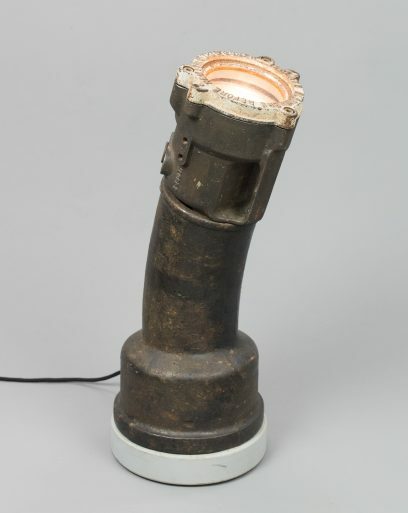 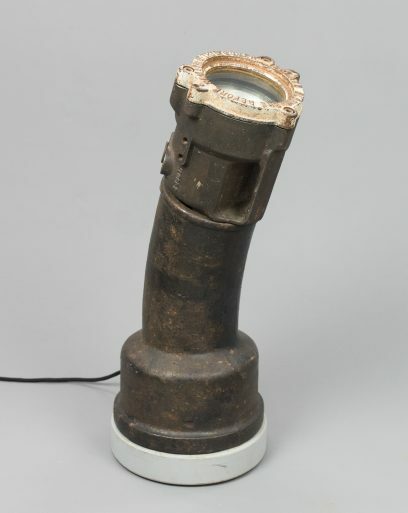 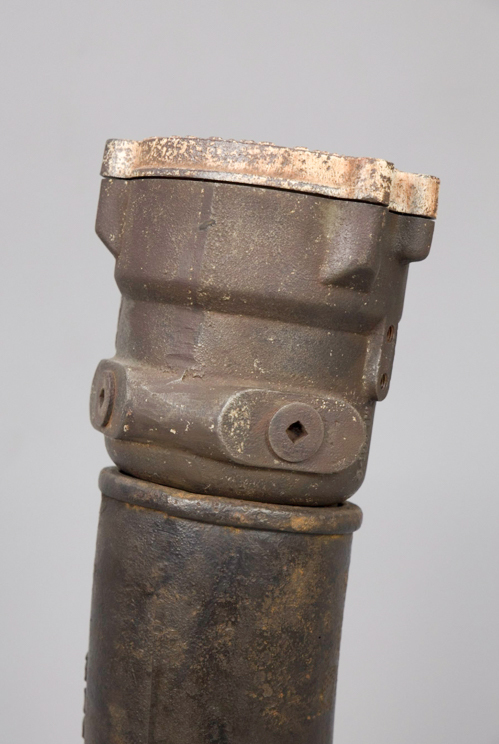 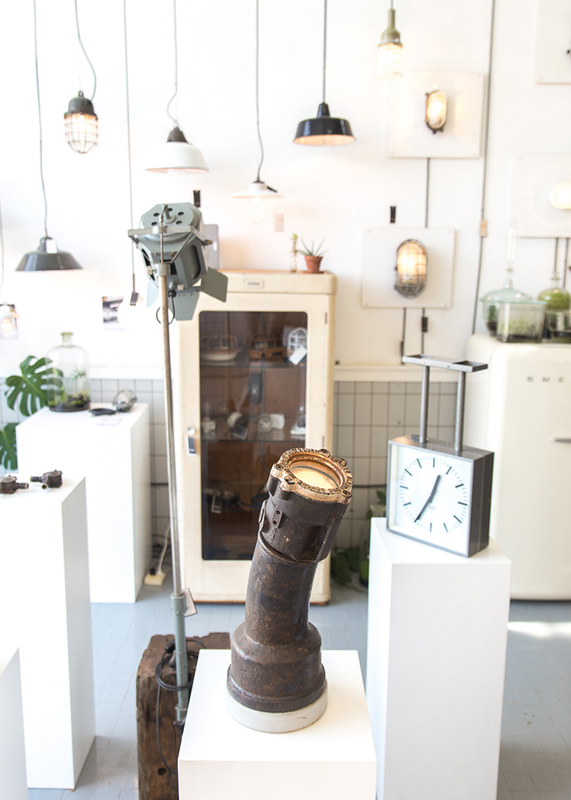 The light’s cast-iron stand is an old sewer pipe, that has been recovered from the Amsterdam soil during road works. 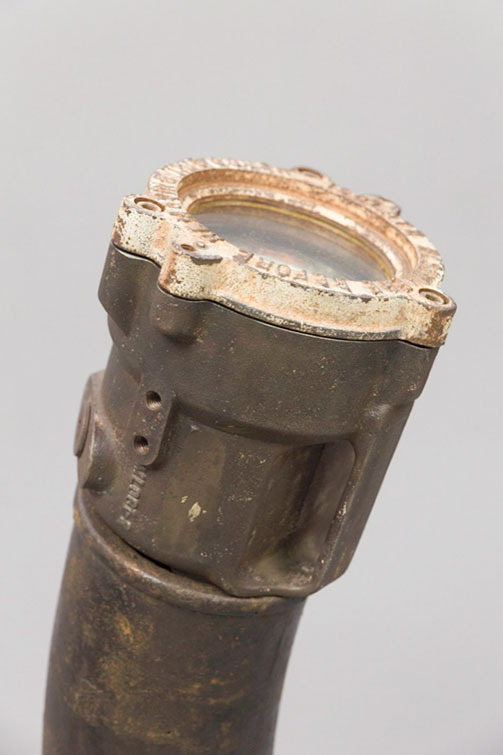 The pipe has been in the ground for decades showing beautiful marks.